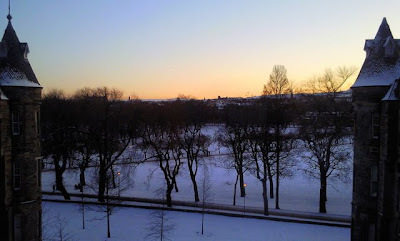 View from the Quartermile apartment in January. Just added! Special rates for a January or February weekly reservation in Edinburgh. We have the Edinburgh Villa, Edinburgh Garden Flat in Stockbridge and the Quartermile apartment by the Royal Mile. Visit our website for more photos and reserve a winter break in Edinburgh at a sale price.